English punk band BILK has shared the music video for their latest single “CM2,” which you can watch below. 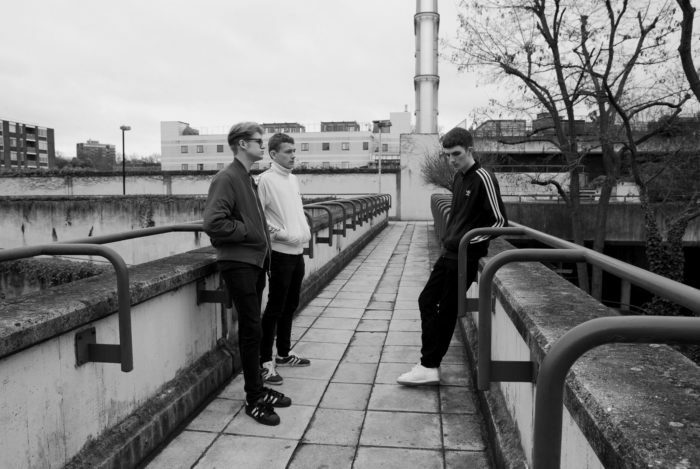 Despite only being around for a few short years, the trio has already garnered support from the BBC and BBC Introducing. Talking about the song and music video, front man Sol Abrahams says,“I think CM2 is just about being bored where you live and the frustration of having nothing to do just because of the place you’re in.” Commenting on the music video, the group says “The CM2 vid was filmed only using an iPhone and with no budget to it. The video is just us playing the song and having it out and also us just going around Chelmsford living our every day boring lives in the suburbs as working class young adults. The band will be heading out on tour for the rest of April and into May, visiting cities all throughout the UK and Ireland. All dates are below.